Everyone can see that women are more beautiful then men. Everyone can also see that they are much more ornament-able, and much more expert in ornamentation. Men are also “attractive,” but male attractiveness doesn’t come so much from beauty as it comes from male qualities like strength, power, stability, reliability, bravery, etc. Everyone knows how easy it is to be carried away by thinking about, looking at, talking about and celebrating a woman. Even women spend most of their time thinking about and celebrating other women. This is why, for example, women are on the covers of most men’s magazines, and on the covers of most women’s magazines, too. Speech is the vehicle which expresses thought. This is why the god Brahmā (lit. 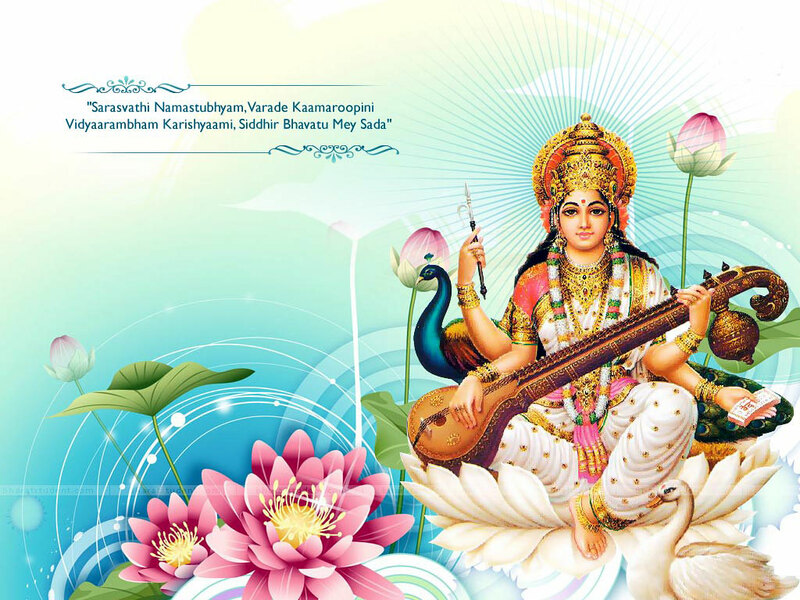 “knowledge”) is so attracted to the goddess Vāk / Sarasvatī (lit. “speech”). Everyone can easily notice that women use words much more often and with much more finesse than men. Everyone can easily see that women remember details better than men – birthdays, etc. Another aspect of smṛti means not forgetting what is right and wrong. It is easy to see that women are much less dangerous and well-behaved then man. Criminals are primarily male. Another aspect of smṛti means being thoughtful of others. There are different types of intelligence. One is “wisdom” or “prudence.” Everyone can easily notice that women are far lass rowdy than men, and are less inclined to take risks. Another type of intellect is the ability to communicate: this was already covered by the concept of vāk (the ability to use words). Men also have a type of intellect they excel in: decision making and giving commands. Thus we can all easily notice in society that women reflect more about things, contemplate and discuss more deeply – while men come to conclusions more easily and take more decisive actions on those conclusions. Some people have difficulty accepting that this is the Vedic outlook about female intelligence. They should please refer to this article: According to the Veda, Are Women Less Intelligent than Men? Women have the forbearance to hold a child within their womb for nine months and then push it out into the world through an opening that is remarkably small for such a task. They also have the forbearance to deal with the needy (like children and husbands who don’t have patience to put their dirty socks in the right laundry bin, what to speak of doing laundry themselves). Everyone can easily see that the vast majority of violence in the world is carried out by men. Women prefer to forgive and find ways to cooperate. Does Every Woman Excel in These Seven? Does Every Man Lack Them? The physical body is a result of the mental body. We get female physical bodies as a result of having primarily feminine qualities in our mental makeup. Visa versa for men. Not every woman is equally feminine. Not every man is equally masculine. Some people are in a borderline zone between the two and experience that their physical gender doesn’t perfectly match their mental self, or sometimes physically display both genders. But on average women definitely have more female qualities than men, and visa versa. That is why, on average, we find the seven excellent qualities mentioned here most naturally and fully manifest among women. And it is also why the divinities personifying these qualities are all goddesses, not gods.